Year-round fishing – No license required, but we do have a five fish per day limit. Fishing Derby held Memorial Day through Labor Day. You will need to provide your own fishing gear. And please clean any fish at your own lot. Boating – Non-motorized boats (such as row boat, kayak) and boats with electric motors allowed on Lake Tyee. There is a secure area to tie up boats, it is located on the grassy “fan” beside the Lake. You will need to provide your own securing device (chain, lock, etc). Boats must be removed by Nov 1 each year or they will be confiscated. Swimming – There are two heated swimming pools at the Clubhouse; access is only with gate key use. They are open mid-May to Mid-Sept. Changing rooms with showers are available. Pool rules do not allow swim diapers or floatation devices. Swimming is at your own risk and children under 13 must be accompanied by an adult. Each person using the pool or spa area must be wearing a wrist bracelet; bracelets are available from pool staff. Hot Tub Spas – Two Hot Tub Spas are available for use at the Clubhouse from mid-May to mid-September. Tennis Courts – Along Tyee Drive, there are two tennis courts avaiable. You will need to bring your own tennis racquets and balls. Putt-Putt Golf – Nine holes of miniature golf is loacated at the edge of the lake, just past the office building. You will need to bring your own putters and balls. Community beaches – All beaches along the lake are communal property. Please respect the privacy of the lake shore owners by accessing beaches only through marked paths, or by boat. And please take all trash with you when you leave. 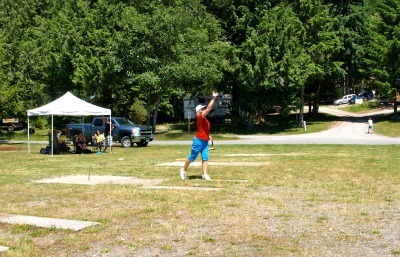 Horseshoe Pits – Three locations are available. The main location is on the grassy area between the Lake and the Clubhouse; second location is on The Hill along Itswood Center Trail. Third location is behind Comfort Station 15 in Division 2C. You will need to bring your own horseshoes. Volleyball Court – A volleyball court is available for use. it is located between the Lake and the Clubhouse. You will need to bring your own volleyball. Basketball Court – On Tyee Drive, there are two basketball courts available. You will need to bring your own basketball. 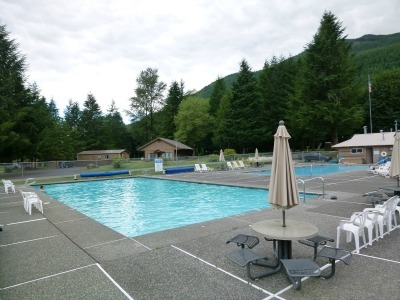 Spacious Clubhouse – The Clubhouse is open for any Lake Tyee members to enjoy. There is a pool table located inside in the meeting room; see staff person for keyed access. You will need to bring your own cues and pool balls. You may also rent the Clubhouse for the day. A kitchen is available for use. The Clubhouse is ideal for family reunions and weddings. Please see staff in the office for availability, rental prices, and deposit amounts. Gazebo – Located in Division 1B near Grandy Creek. The Gazebo is a great place for a picnic or BBQ. Please respect the privacy of nearby owners in the 1B area. Children’s Playground – The play area is near the Clubhouse. There are two play sets with swings and slides. There are numerous outdoor toys for children to enjoy. Parental supervision is welcomed. Hiking Trails – A variety of trails wind through Lake Tyee property. The flattest is the trail that circles the Lake; it begins either at the far end of the Lake or at the Pit area. This trail can accommodate ruggedized strollers. 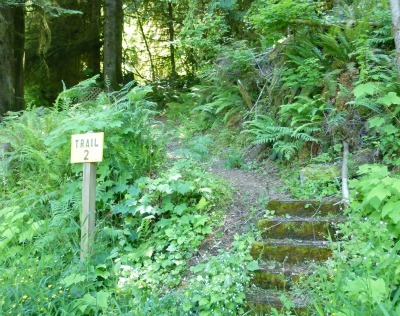 Trails #2 and #3 start at the Lake level, on Tyee Drive and climb steeply up the Hill, connecting to North Tillicum Loop Trail. Trail #1 starts at Suiattle Trail (near the Putt-Putt Golf range) and climbs steeply up the Hill to Kachess Trail at the end farthest from the Back Gate. Athletic Field – A large athletic field lies between the Lake and the Clubhouse. A small baseball diamond is located on the athletic field. Lending book/DVD exchange – A variety of books and DVDs are available in the Clubhouse, near the shower rooms. Please drop off an item to exchange or return the borrowed one when you’re done with them. There are lots of beautiful hiking trails and other recreational activities to explore outside of Lake Tyee. Please email us your favorite places to go while staying at Lake Tyee.